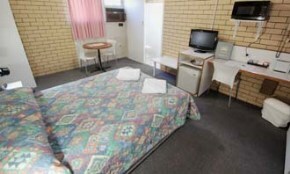 Binalong Motel offers five room types to select from to cater to your needs. 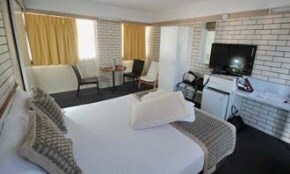 We have three pet friendly rooms, two of which are Queen rooms and the third a twin room. Please advise reception when booking that you require a pet room as conditions apply. 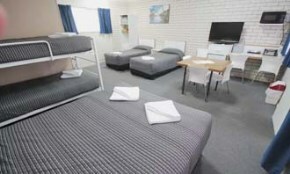 Our family rooms come in two sizes. The large family room sleeps 6 people consisting of a Queen bed, two single beds and a set of bunk beds. Our second family room sleeps five people and has a queen bed and three single beds. 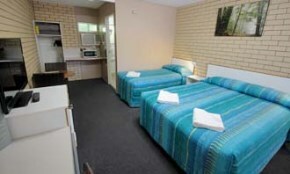 Twin rooms suit three people and consists of a queen bed and a single bed. Our Queen rooms sleeps two people and as the name suggests, has a queen size bed. 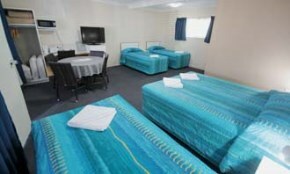 Finally there is our single room which has a double bed.